Despite what some people might think, drowning accidents can happen in a variety of ways: In a swimming pool - private or public; they can happen at a beach or pond, in a boating accident, or at a water theme park. The one thing that makes drowning injuries stand apart from other types of Massachusetts personal injuries is the often catastrophic nature of the injuries and the typically very high damages that are involved in these cases. Commonly, drowning accidents result in either death or serious brain injuries, due to the lack of oxygen to the brain that results from these terrible accidents. They are usually categorized as catastrophic accidents. Massachusetts law recognizes the catastrophic nature of drowning accidents, and as a result imposes strict legal obligations and legal duties on businesses and private individuals who operate any type of swimming, boating or aquatic activity. If that business or private property owner (yes, this means anyone with a backyard pool,) breaches those legal duties and a Massachusetts drowning accident or Massachusetts swimming pool injury occurs as a consequence, the owner or operator of that property can be held liable for the damages that follow. Because the losses and the damages that follow drowning accidents are usually so great, it is extremely important that the family of anyone who has either died or been seriously injured in a drowning or swimming pool accident, be very careful and selective about the Massachusetts drowning accident law firm that they speak with. These types of cases are very unique and can become very challenging, and because of the typically high damages involved, these cases are aggressively defended by powerful insurance companies and their law firms. These cases require a law firm that is extremely experienced and has a proven expertise in Massachusetts drowning accident and Massachusetts swimming pool accident cases. At the Law Offices of William D. Kickham, our lawyers have just that type of expertise. We know how to approach these cases, investigate them thoroughly, assemble the necessary evidence and experts, and secure top dollar for these cases. If your loved one has been the victim of a Massachusetts drowning or swimming pool accident, do NOT speak to "just any" law firm. Our Boston, Massachusetts swimming pool accident law firm has over 20 years of experience handling Massachusetts injury cases, including drowning accident cases. Call us now at Ph. (617) 285-3600 or at Ph. (781) 320-0062, or send us a confidential email. We provide potential new clients with a FREE CONSULTATION. When necessary, we also make house calls and hospital visits, and have offices conveniently located in downtown Boston and off Route 128 in Westwood, Massachusetts. Remember, if we accept your case, you will pay us absolutely NO LEGAL FEES unless we obtain financial compensation on your behalf. Thus, you have nothing to lose, and everything to gain, by calling our Boston Massachusetts drowning accident law firm. There were almost 3,700 people who died due to drowning in 2010, the last year for which data is available. Children 14 years of age or younger comprise over 25 percent of all drownings that are fatal. Almost five times the number of children who die from drowning, do not die but suffer from brain damage as the result of oxygen deprivation while submerged. The resulting neurological injuries vary from memory deficits, to serious learning disabilities, to coma or a permanent vegetative state. Curiously, almost 9 out of 10 drownings will occur in fresh water, even in states near the seashore, such as Massachusetts. More than half of all drownings take place in home (i.e., private) swimming pools. Children less than one year old most frequently drown in bathtubs and basins. Children 1 to 4 years of age are most likely to drown in a swimming pool. Children aged 5-14 are statistically more likely to drown while swimming in the ocean, a pond, lake or river. Teenagers and adults most frequently drown due to drug or alcohol impairment. Boating accidents account for almost ten per cent of all drowning deaths and swimming accidents. Whether or not someone can be held liable in Massachusetts for a drowning death or a swimming pool injury, always depends on the facts surrounding the accident. Property owners with backyard swimming pools are typically required to secure the area around the pool with locked fences that meet safety code requirements for the city or town where the property is located. At public swimming pools, accidents may result because there was no lifeguard on duty at the time of the accident. In some cases, negligent design or maintenance of the pool is an issue or other risk factors may have been present. And in some rare cases, the accident is just a tragic confluence of unforeseen events. When a drowning accident or swimming pool injury occurs due to the failure of the property owner or pool operator to undertake reasonable safety measures, then the property owner or manager can be held liable for damages that result from the accident. In a wrongful death claim, these damages can be substantial. They can include not merely reimbursement for medical and hospital bills to care for the deceased victim before his or her death, but also damages for the loss of future income or financial support that the deceased victim would have provided to his or her family if the victim had not died. Additionally, damages for the loss of companionship suffered by a surviving spouse and/or children are also factored in. In order to prevail (win) in this type of lawsuit, a plaintiff in a Massachusetts drowning accident or swimming pool accident case will have the burden of proving that the property owner's or manager's negligence ultimately caused the drowning. 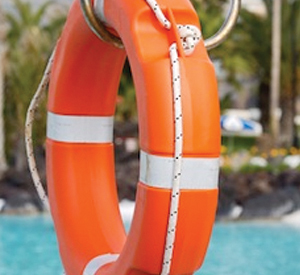 If any safety ordinances are violated, such as those requiring a lifeguard to be present or requirements that entrance and access to a pool area be locked, those violations can result in a presumption of negligence on the part of the property owner or manager. This is a legal doctrine known as negligence per se. When something like this occurs, it relieves the plaintiff of the burden of proving negligence, (or breach of a legal duty) because the law presumes negligence due to the safety ordinance violation. Obviously, this is a very short discussion of the legal challenges involved in these very complex cases, and to adequately convey this information, a discussion is usually needed. The attorneys at our Boston swimming accident law firm can explain much more clearly what challenges you may face and how precisely we can obtain the compensation that your family deserves in the wake of such a serious accident. To speak with us, call us now at Ph. (617) 285-3600 or at Ph. (781) 320-0062, or send us a confidential email. Our attorneys are available to speak with you seven days a week, as well as during nights and weekends. We will provide you with a FREE INITIAL CONSULTATION, and if we accept your case you will pay us NO PROFESSIONAL FEES unless we recover financial damages on your behalf. You may have seen Boston, Massachusetts injury lawyer William D. Kickham on television, heard him on the radio or read his name in a newspaper. Attorney Kickham is respected legal commentator for local and national media, including Court TV (now In Session on HLN,) Fox News TV-25/Boston, The Boston Herald, WBZ-AM Radio 1030, WCVB-TV5/Boston, Nightside With Dan Rea, Greater Boston With Emily Rooney, Money Matters Radio/Boston, and The Metro Newspaper/ Boston.